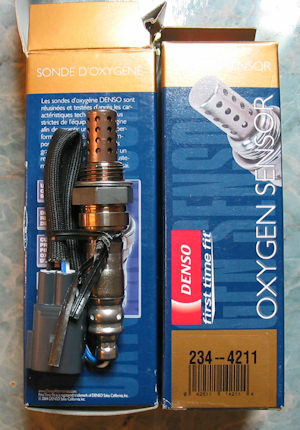 New Denso lambda sensors (part number 234-4211). 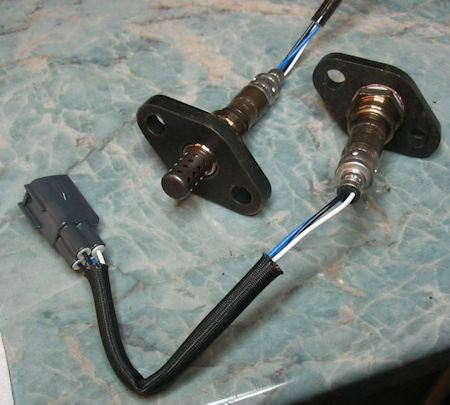 Alternatively you can buy generic 4-wire sensors and re-use the connector from the old sensors. Adaptors from Kelsport (see their eBay store). 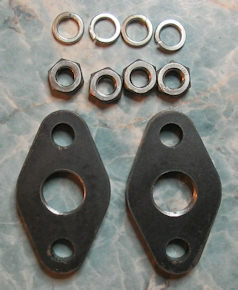 I discarded the nuts and washers and reused the original Lexus nuts. Location of the left hand sensor. 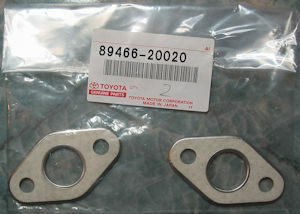 Use a 12mm spanner or socket on the two nuts - in my case they came off easily. A long flat blade screwdriver is useful to press down the tab on the electrical connector while you pull the plug out with your other hand. 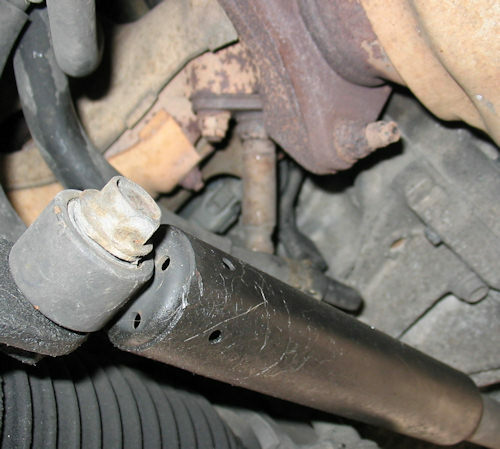 Remove the old gasket - a thin flat screwdriver may help if it's stuck. The right hand sensor, with the connector just to the left of it. 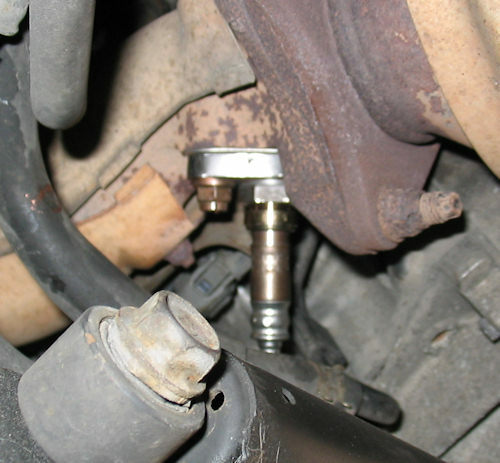 Apply copper grease to the threaded part of the sensor. 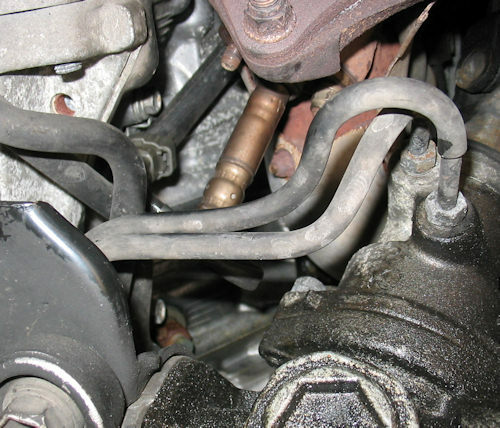 Hold the adaptor in a vice, screw in the sensor by hand then tighten with a 22mm spanner. You can connect the plug either before or after fitting the sensor - I chose before. 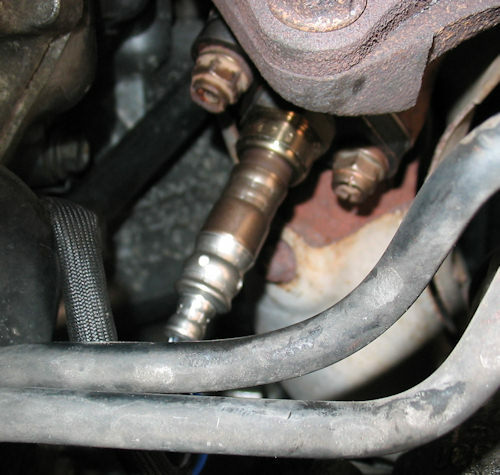 Install the new gasket, then the sensor, then the two nuts. This is the new sensor fitted on the left hand side. The new right hand sensor fitted.